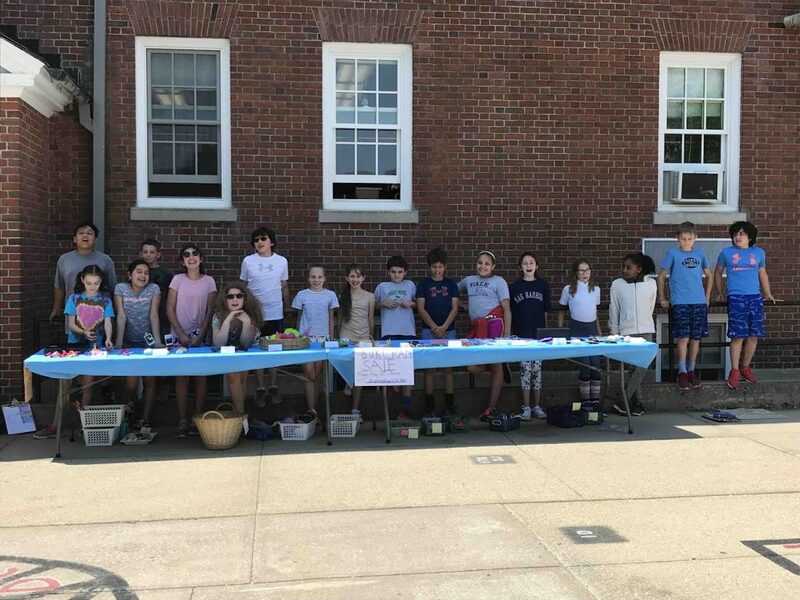 Sag Harbor Elementary School fifth-graders recently raised $470 for St. Jude Children’s Research Hospital through a craft fair held during their recess. To raise the money, JoAnn Kelly’s class gathered materials from their classroom and homes to make a variety of items to sell at the fair. They created bookmarks, paperweights, origami animals, wallets, pine cone pineapples and inspirational signs. The items were sold for $1 apiece. The project, which is just one example of students engaging in the school’s theme, “Sag Harbor Sparkles: Kindness Counts,” also provided a valuable lesson in planning, promotion, advertising and marketing. Photo caption: Sag Harbor Elementary School fifth-graders made crafts to sell at a fundraising fair for St. Jude Children’s Research Hospital.